Something warm and lustrous, light-weight and wild, to warm the heart on a winter day. 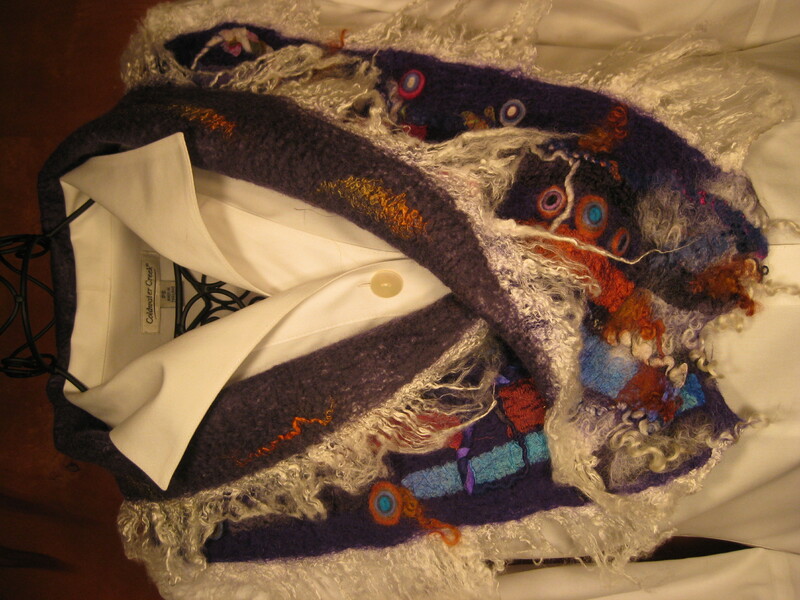 Turn down the heat… let wool and silk warm you. 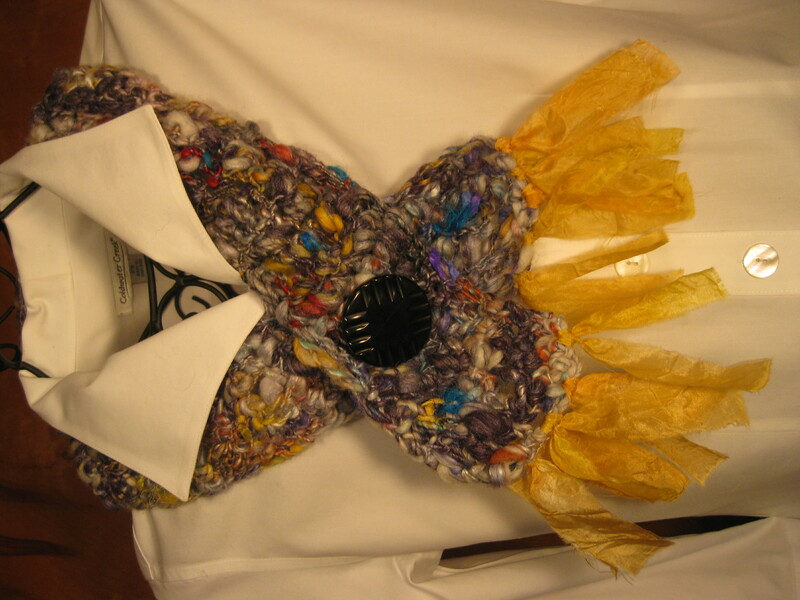 and a prelude to a “Rhapsody” scarf. A while ago I carded and spun yarn to evoke the glowing warmth of light shining from windows — as seen from the outside looking in — on a winter’s walk. 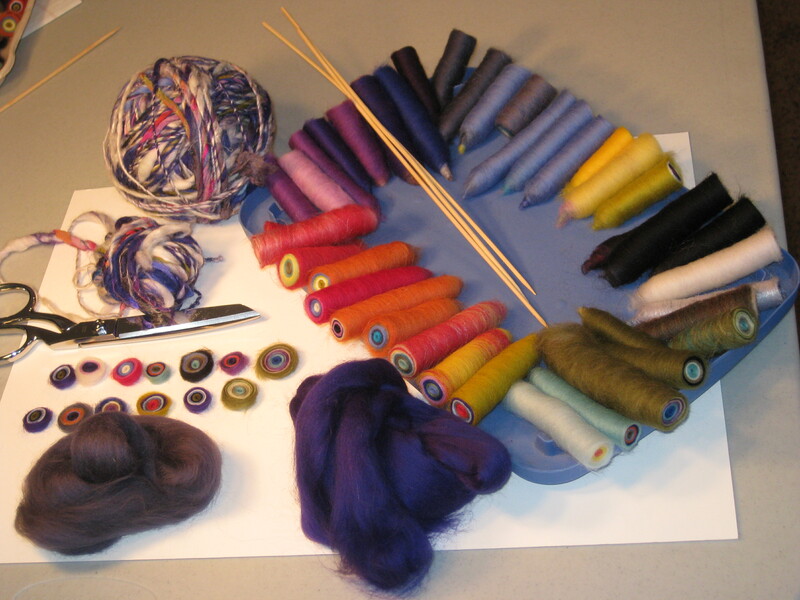 I carded bits of sparkling silk fibers and fabrics, including sari silk remnants, along with deep blue and purple merino, and spun a single-ply, “thick and thin” yarn. 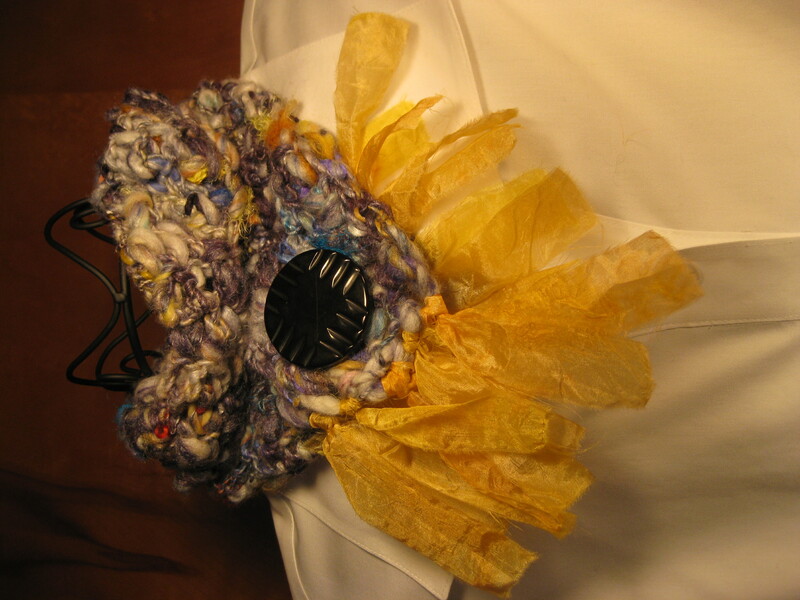 Here are some images of the collar I crocheted with that yarn, showing different ways to wear the collar, using each side of the double-sided button closure that I made from two, large vintage buttons, one side shiny dark blue and the other a creamy shade of ivory. 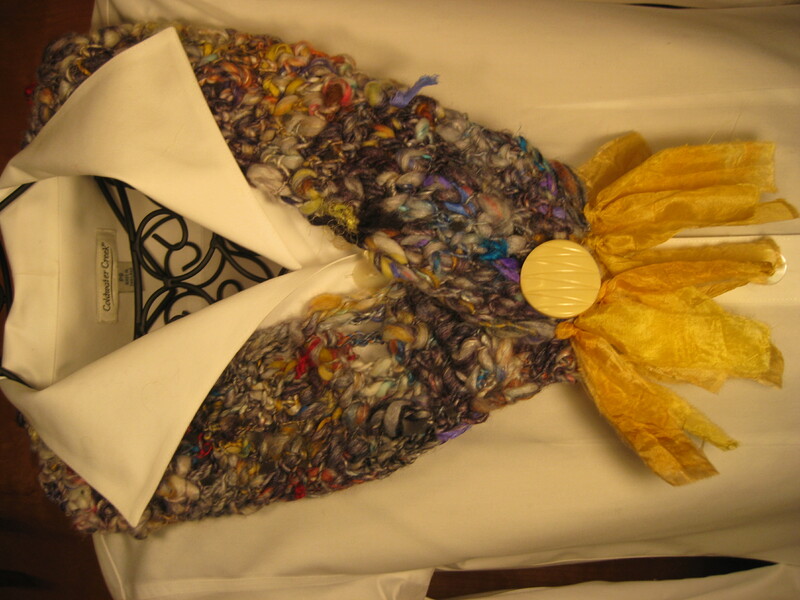 The bright yellow fringes are Lori Flood’s exquisite hand-dyed silk. Fabricating dots is a lot like baking. Relaxing, creative, productive. And when you’re done, you can savor the results. I arranged these little rolls, waiting to be carefully snipped into dots, so I could see if I had the color range and variety needed for the surface design of a jewel-toned scarf. I think I’ll have enough!